Happy Therapy Thursday! In this blog post, I’m going to give you a sneak peek into one of my favorite speaking engagements I’ve done thus far. 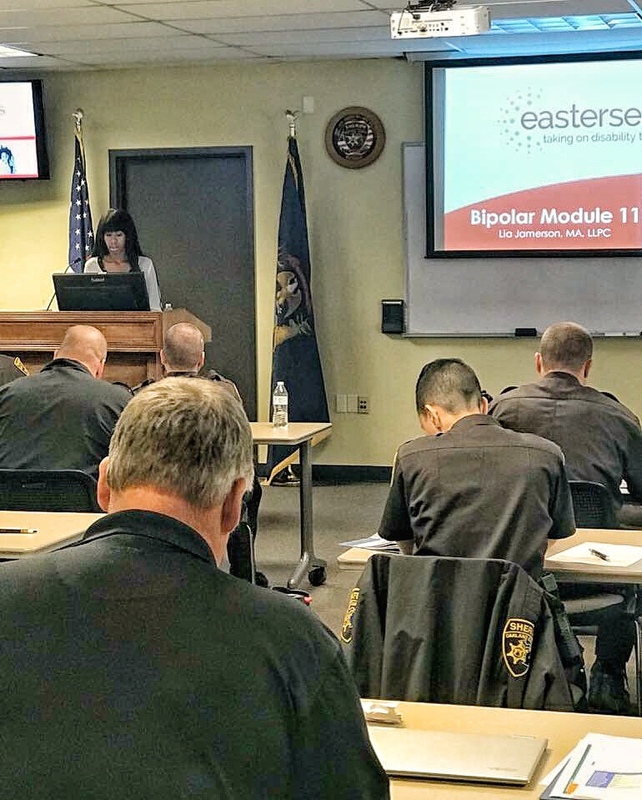 This past summer, I presented on Bipolar Disorder at Oakland County Community Health Authority’s “Crisis Intervention Treatment (CIT) Team Training” for police officers, corrections officers and Oakland County sheriffs. While on duty, many officers encounter individuals with and without mental illness. I was invited to share information regarding common symptoms and signs of psychosis; prognosis; treatment methods; and supportive ways to communicate and interact with someone experiencing varying severities of mania and depression. At first, it was a bit intimidating talking to this group…considering the fact that they all have those big guns that they are authorized to have attached at their waist. No sweat. No pressure. Note To Self: don’t be boring and don’t offend anyone in this room. After some quick ice breakers, and opening up with a short interview clip with Charlie Sheen (someone we all know and have unfortunately seen struggle at times with Bipolar Disorder), I felt comfortable as if I was talking to any other group that I have presented to in the past. I am passionate about psychology, therapy, and the mental health field. 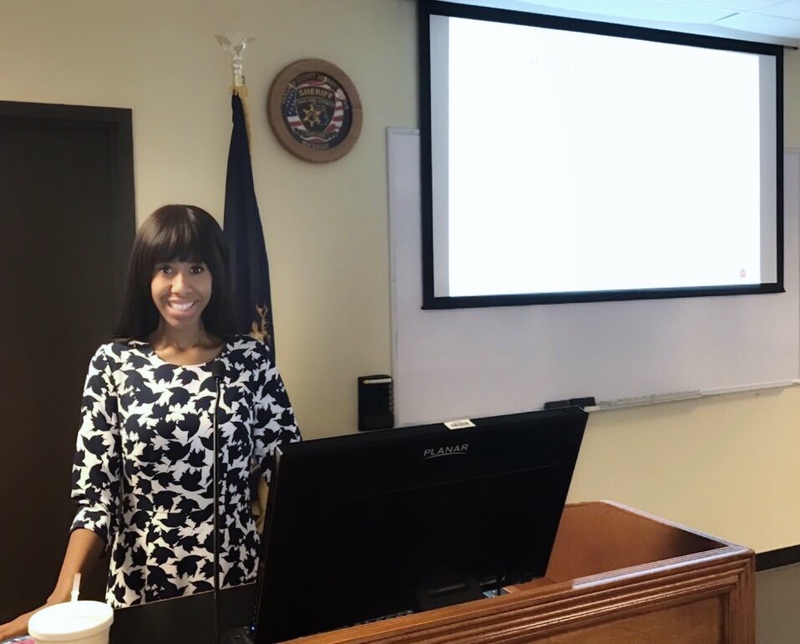 I enjoyed sharing my knowledge acquired from doing therapy and case management with individuals with Bipolar Disorder. When we have more knowledge, there is less of a stigma surrounding mental health. This group was not afraid to ask questions or make comments during our open discussion. What are some questions you have about Bipolar Disorder or mental health in general? What are some common stigmas about mental health that you would like to break? Put your questions in the comments below. There are many more Therapy Thursdays to come, and I welcome new topics and ideas. Well there you have it! I greatly enjoyed presenting to this audience of law enforcement officers on a topic that I am very passionate about. 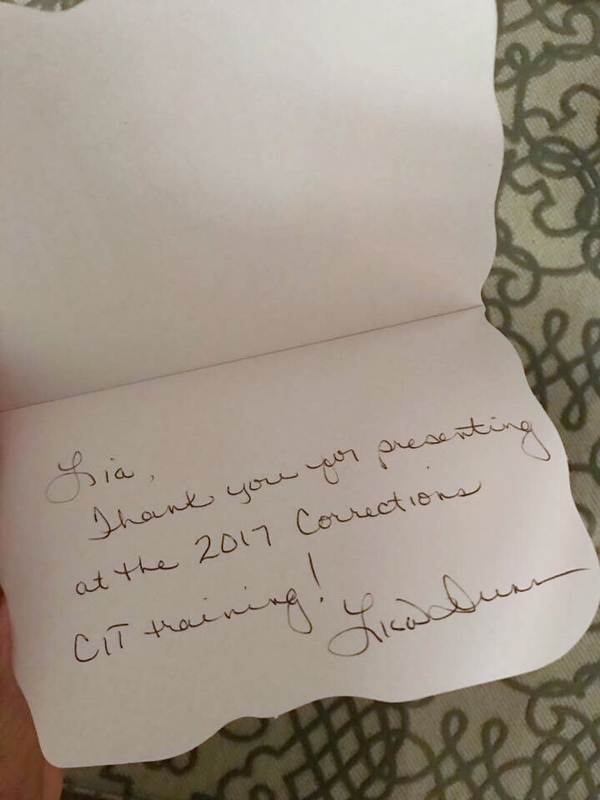 They were a gracious bunch, and I was pleased to be invited to present again at future trainings. For speaking engagements, or professional consultation, call 248-385-2320 or email liajamerson@dayspringvision.com. 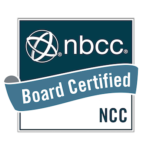 Be sure to visit dayspringvision.com for more information on Lia Jamerson, MA, LPC, NCC and Dayspring Vision Counseling, PLLC.